Pruning mature trees is an important part of tree care, however, pruning young trees can have a more significant and longer-lasting effect. 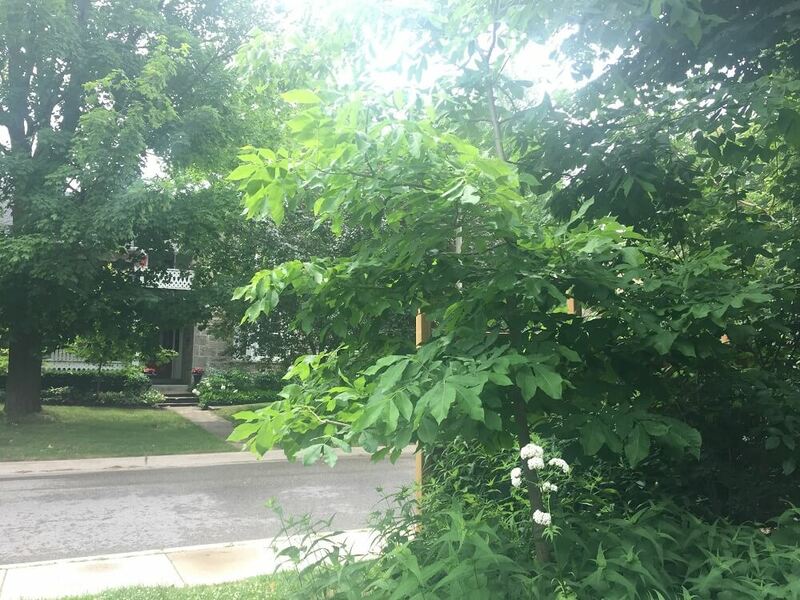 Trees that are pruned properly when they are young will have fewer structural defects when they are mature and require less corrective pruning later on. Knowing the proper techniques for pruning trees is integral to the future health and success of any tree. Not all pruning is equal. Young trees have smaller branches and therefore smaller wounds are created when they are cut. These smaller cuts will heal faster than bigger cuts made on mature trees. Large wounds on mature trees allow time and an opening for disease to enter the tree. This can be compounded if bad practice pruning techniques are used. Training small trees for good structure can help avoid uneven growth, structural defects, and storm damage in the future. Pruning small trees is safer and more cost-effective than waiting until the tree is mature or has been damaged in severe weather. Central leader: The main, upright growing stem of the tree. Branch collar: A visible swelling that occurs where a branch attaches to the rest of the tree. The branch collar provides the structural integrity of the branch. 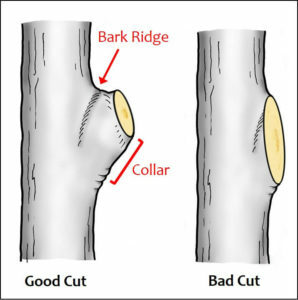 When pruning, cutting off the branch collar (flush cut) can lead to decay in the tree. Co-dominance: When two or more stems are competing to be the main leader. Subordinate: Subordinating is when you reduce a branch to encourage another one to grow or take over as the main leader. This is a common way to correct co-dominance. Flush cut: Removing part or all of the branch collar. This makes wound healing slower and can lead to decay. For a long time, it was standard practice in tree care. We now know better and flush cuts are considered bad practice. A tree with ideal structure will have one dominant central leader. 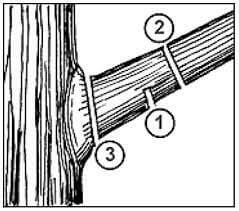 Co-dominant stems have a tendency to have weak unions with included bark. Trees with co-dominant leaders can be at risk for failure under certain conditions. To adjust this type of growth you can choose the stem that you want to be the leader and tip back the other branch (subordinate). This sends a signal to the tree to focus its energy on the other stem. 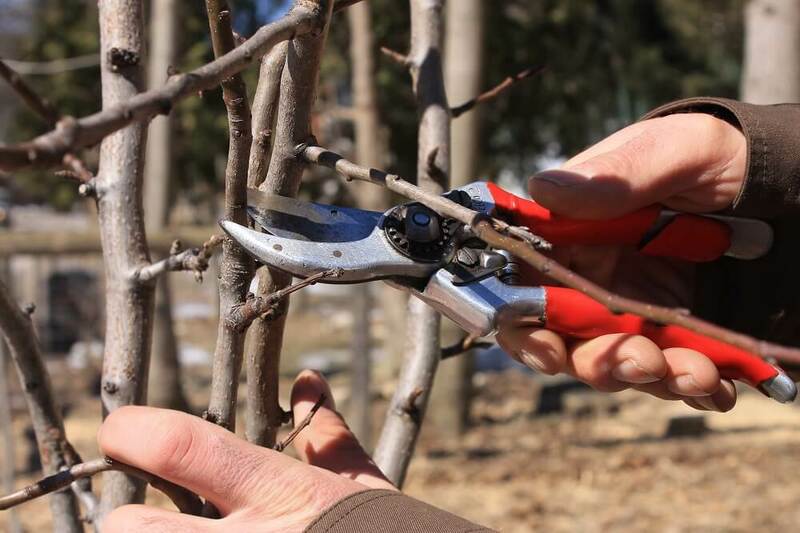 Use sharp bypass pruners to make small cuts. If you have to make bigger cuts, use a sharp handsaw and a three-step cutting technique. Do not make a cut without a purpose. Just cutting away at branches is not proper pruning. Remove dead, damaged, or diseased branches first. Remove or reduce branches that may be interfering with another branch or that have an undesirable growth habit. Choose the structure that you want the tree to grow in. Following its natural form as close as you can will help avoid excessive pruning later on. 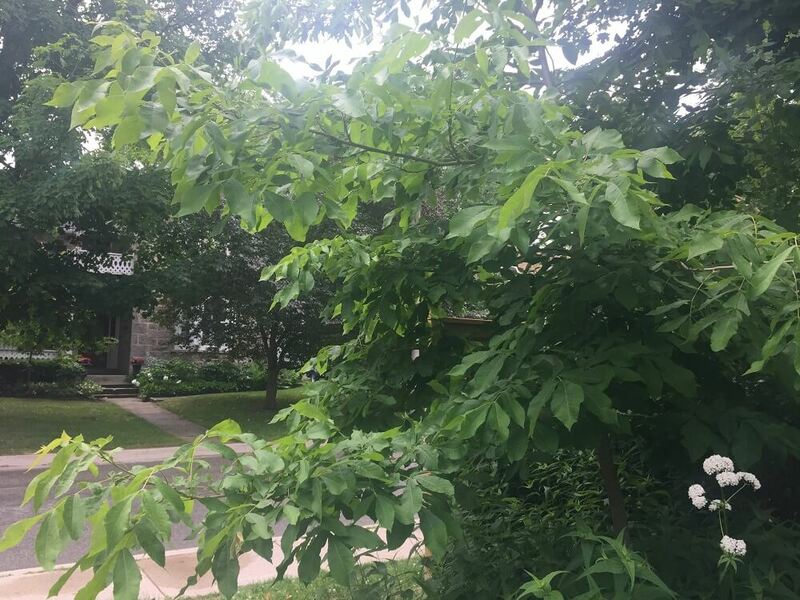 Subordinate vs. remove – subordinating a branch instead of removing it signals to the tree to focus its energy elsewhere without taking too much off. Taking too much off in one season can stress the tree and limit its ability to photosynthesize. Establish lowest permanent branches – figure out where you want the lowest branches to be. Factors like grass cutting or gardening can help you determine how low they should be. Boulevard trees and trees near corners may need to be pruned for sight lines.